Cordoba is full of UNESCO sites. It isn’t as popular to visitors as Barcelona or Sevilla yet has more UNESCO listings than either of them and more than anywhere else in the world. With the addition of the Medina Azahara in 2018 Cordoba now has four UNESCO sites which makes Spain’s total number inscribed on the World Heritage list at the end of 2018 – 47 . What is a UNESCO Site? A UNESCO Site is one which is determined by the World Heritage Committee as a UNESCO site and added to the World Heritage list, as their website says must be ‘of universal outstanding value’ and also meet one of 10 criteria such as being representative of a living or extinct cultural tradition or civilization. Cordoba’s four are: the picturesque Historic Quarter, The Mezquita Mosque/Cathedral, the new Medina Azahara, and the Patios Festival, added in 2012. Cordoba was founded by the Romans in 2nd century BC. The Moors conquered it in the 8th century and built splendid mosques, palaces and public buildings. In the 13th century it was conquered by the Catholic Kings. The Historic Centre of Cordoba reflects thousands of years of occupation by different cultural groups – Roman, Visigoth, Islam, Judaism and Christian. It reflects the urban and architectural complexity of Roman era and the splendour of the great Islamic city which was between the 8th and the 10th centuries. There are still many ancestral homes and traditional houses built around interior courtyards which are Roman in origin with an Andalusian touch. Most still feature the presence of water and plants in daily life. The Great Mosque of Cordoba or Mezquita, now called the Mezquita/Cathedral because the Catholic Kings built a cathedral within it. It is a unique artistic achievement due to its size and the sheer boldness of the height of its ceilings. It’s a testimony of the Caliphate of Cordoba and a testimony of Islamic religious architecture which also used building techniques from the west such as double arches supporting the roof. The Mezquita or Great Mosque of Cordoba was inscribed on the World Heritage List in 1984 and later parts of the Historic Centre, the Alcazar (the fortress), and the south to the banks of the River Guadalquivir, the Roman Bridge and the Calahorra Tower were added. The Medina Azahara or Caliphate City of Medina Azahara is an architectural site about 6km from the present city centre built in the mid 10th century by the Umayyad dynasty as its capital. It was a powerful and luxurious city which was almost demolished in war and then abandoned and forgotten about for nearly 1,000 years. It provides a unique and intriguing insight into the life and times of the now vanished Western Islamic civilization known as Al-Andalus. Festivals are declared as world heritages by UNESCO when they’re ‘deemed particularly notable’ The festival of flowers – Cordoba Patios Festival started in 1918 and was added to the list in 2012. It is a celebration of spring and takes place the first two weeks of May (the dates vary slightly from year to year) when around fifty private historical houses in the historical center open their beautifully decorated, flower-laden patios to the public. Each patio is unique, usually featuring water, including the once necessary wells. Entry is free and maps are available at tourist kiosks or online. There are now different routes plotted on the maps for ease of finding the patios in these narrow, winding streets. Have these treasures whet your appetite to visit Cordoba? Then you’ll need to find a lovely place to stay. See our Cordoba page which includes hotels in the city and province of Cordoba or check out the two gorgeous hotels in the city itself Hotel Balcon de Cordoba and Hotel Viento 10. Have you heard of Amberlair project – a crowd sourced Boutique Hotel? They are creating the world’s first crowd sourced Boutique Hotel? It’s great fun to follow their progress with the first hotel to being based in the south of Italy. Pop over to their website and follow its progress. The Amberlair website features many boutique hotel lovers – #boholovers as they call them and I’m one of them! If you’d like to read a bit more about the ‘Me’ behind Only Spain – here I am! Rachel Webb of Only Spain. At the end of January (hubby’s birthday) and a very cold weekend we found ourselves heading to the coast in hope of good or at least better weather than our inland mountain home was forecast to have. My choice of getaway was the lovely Miller’s of Frigiliana. I’ve written about it on our sister site Luxury Spain Travel and Miller’s is on here too. Read about Miller’s of Frigiliana on Luxury Spain Travel. And suddenly, amazingly and scarily here I am again in December (2018) thinking yet again of what to do and where to go for his birthday next month! Funny how we always go away for his, but not mine, unless I plan it! It’s been an odd year (maybe you read my Closing of a Year post) which I won’t be sorry to see leave and will be celebrating the new. It’s been tough taking in my step father and being the mother of 3 sons. They bring a girl into my home and one hopes they will be around forever. Then, all change, the romance is over. My relationship with my ‘daughter-in -law’ broken and supposed to just end like the ‘romance.’ Even more tricky when the eldest son’s other half is her sister. Well, good things always come from the negative and it looks like our middle son will be working in Amsterdam next year, so that’s a definite travel plan if so. Travel has been curtailed when caring has increased (read ‘The Closing of a Year’ post.) 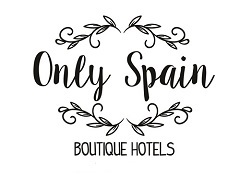 Bring on 2019 so we can go forth and explore, visit the fabulous hotels and B&Bs around Spain, we have a looong list of gorgeous places we (read I) want to visit.